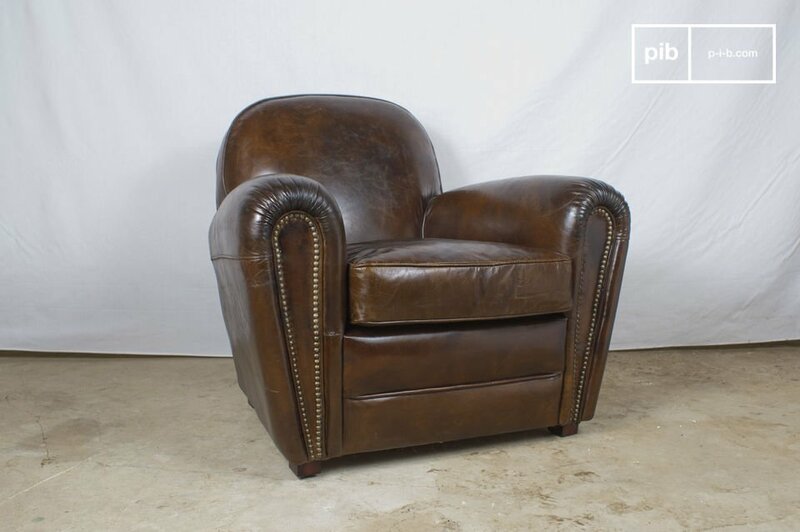 This typical English gentlemen's club strong leather armchair is made of aged pigmented leather, and exudes a retro style that gives it all its charm. 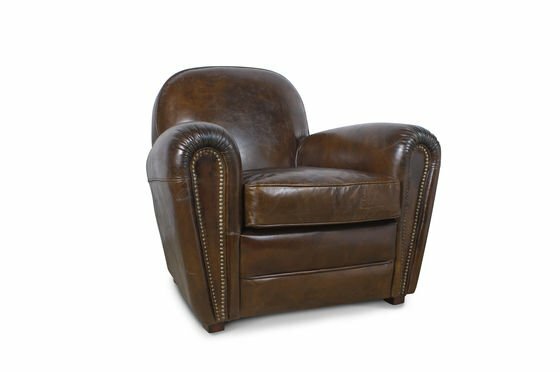 Very fine stitching, and designed for comfort, thanks to its ample seat cushion filled with high-density foam(35kg/m3) and down, this leather armchair would be an excellent choice for your living room. 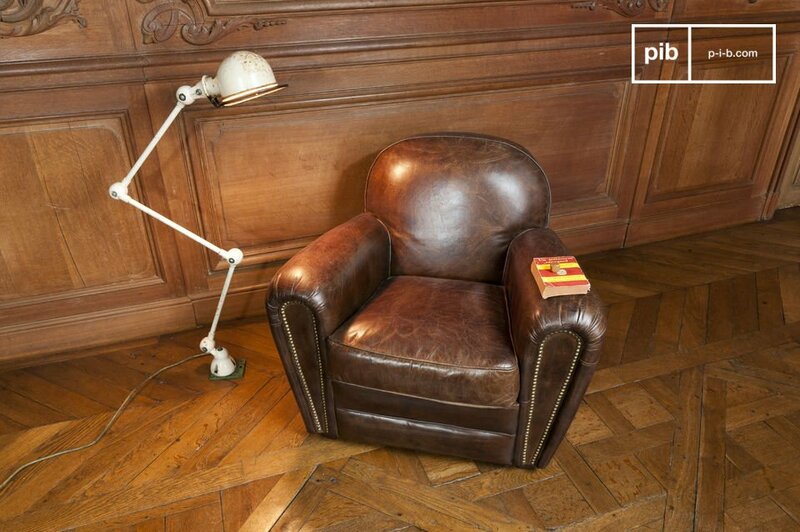 Seat height and dimensions: 43cm from the floor, 43x52cm. 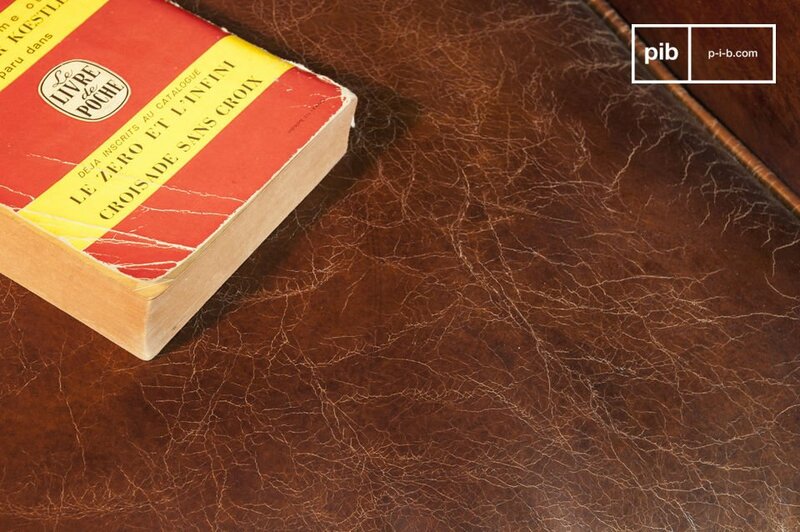 100% buffed calfskin leather from European hides, 0.9 to 1.1mm thick, hand nailed to the beech wood frame. 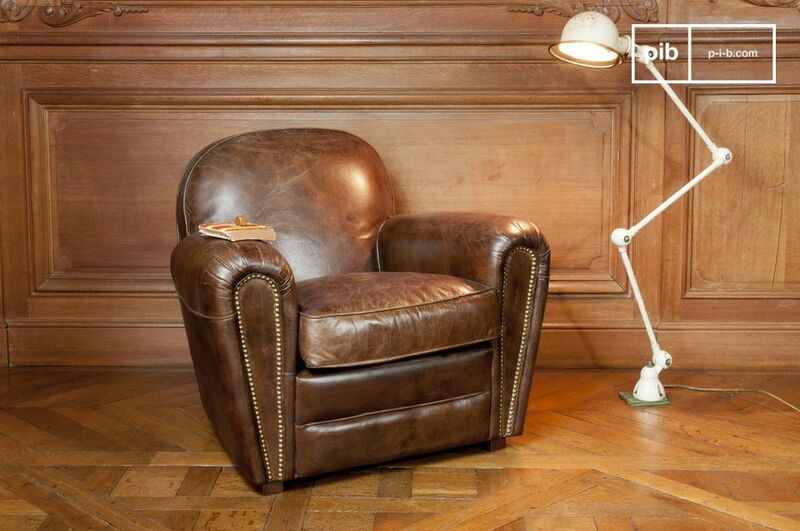 This classic piece among industrial chairs is also available is the Brown Cigar club sofa. 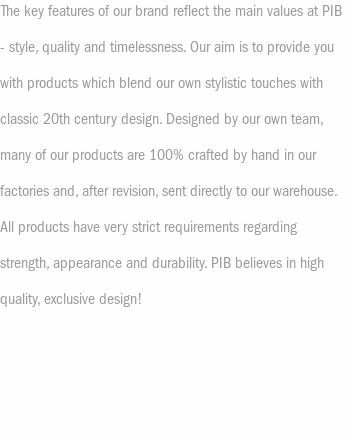 "Superior quality, impeccable product is going to last"
"Quality product that does not disappoint." 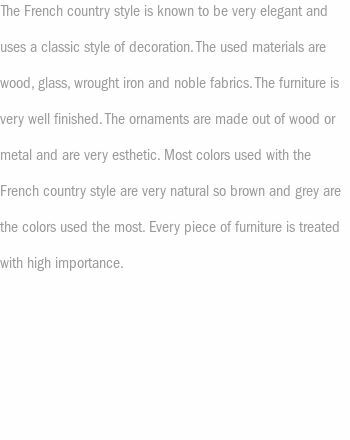 "A little darker than on the pictures"
"excellent. well received as a gift"